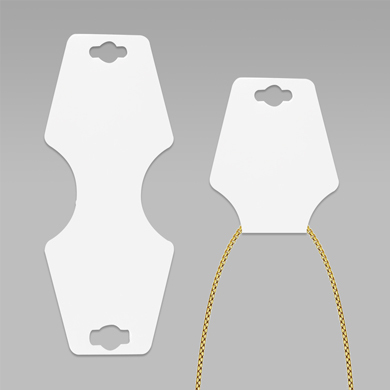 Nice packaging solution for necklaces, head bands, earrings and so much more. This Self Adhesive Foldover card makes a convenient display for your necklace, earrings and other jewelry. Simply place merchandise in the center and fold to close. Its easy to customize this item! We can print your store logo on stickers. Search custom labels.